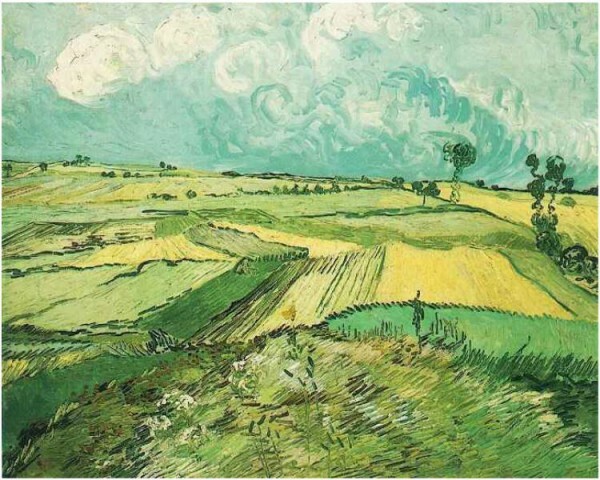 I stood in front of Vincent Van Gogh’s Wheat Fields at Auvers Under Clouded Sky in the Carnegie Museum of Art, and couldn’t stop myself from crying. Here I was, just inches away from a piece of history painted by one of the world’s foremost artists. I couldn’t contain myself. The tears would not be held back. I walked among the impressionist artists that I love so well. Monet, Manet, Van Gogh, Renoir. Pastels with occasional bursts of bolder colors. Up close it is just a mess of color and odd brushstrokes. A dot here. A swirl here. Nothing particularly discernible. But when you step back and see the full picture, it becomes clearer. Pictures of waterlilies on a pond, or of two men chatting in a garden, or of a field waiting for harvest. Seemingly insignificant things, but wondrous nonetheless. These artists didn’t need momentous occasions to convey value. They didn’t need exactness to show beauty. Through the use of color and shape, they showed us the worth of the ordinary. We limited ourself to just a few minutes in each section of the art museum, but truth be told, I could have spent my entire afternoon examining the paintings in that one corridor. Will you join me today over at A Deeper Story? This entry was posted in A Deeper Story and tagged Doctor Who, impressionism, significance, Vincent Van Gogh. Bookmark the permalink.